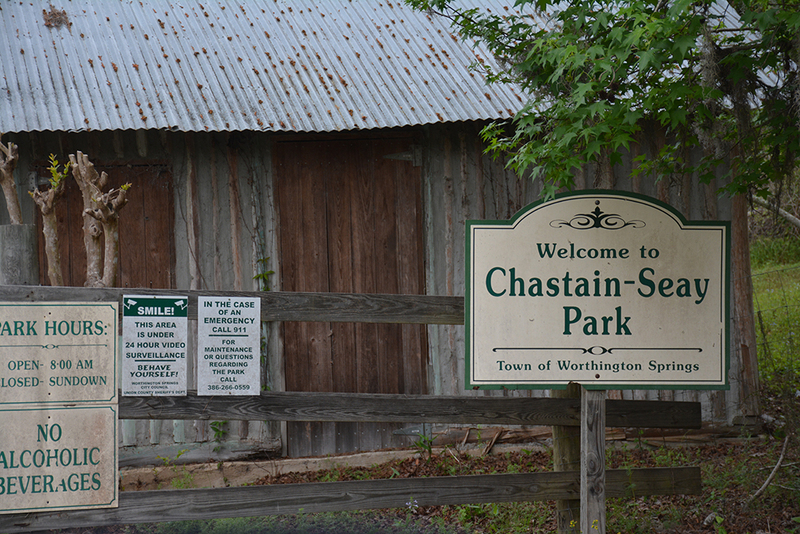 On a drive down US 121 in Union County, you may have noticed the entrance to Chastain-Seay Park in Worthington Springs. It blinks by quickly, as the highway continues down a causeway to the bridge over the Santa Fe River into Alachua County. 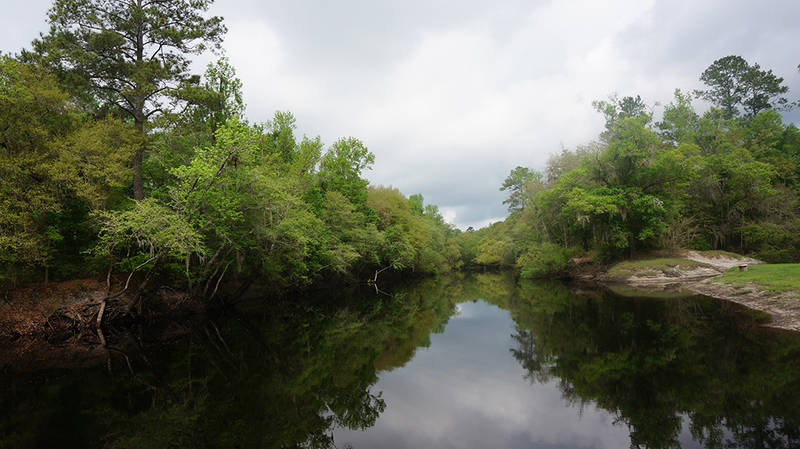 A hidden natural treasure and a local recreation area, Chastain-Seay Park sits at the bottom of a steep bluff below Worthington Springs. The namesake springs are here, but there isn’t much left of them. At the turn of the last century, they drew people from afar to soak in their healing waters. Today, scarcely a trickle emerges from the spring pool, which is fenced off, adjoining the nature trail. It’s the nature trail that guides you along an array of floodplain channels, which fill up when the Santa Fe overflows its banks. For nearly a mile, you can walk along a series of boardwalks that guide you through the bluff forests towards the river. In spring, fragrant wild azalea blooms along the path, and the puffy white blossoms of fringe trees catch your eye. The Florida fringe tree isn’t very common, but you wouldn’t know that with a walk along this nature trail. Overlooking the river, a playground and picnic area provide a place for families to enjoy the natural setting. 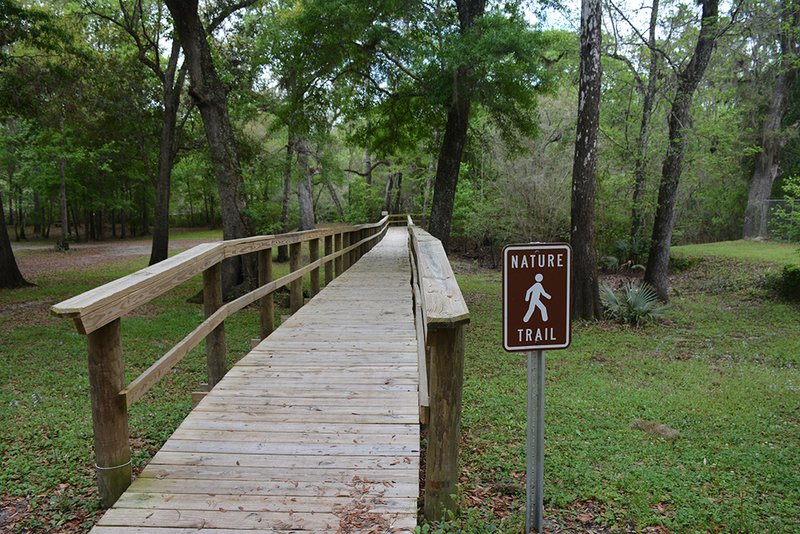 A boardwalk connects this high point under the oaks to a swimming hole, which gets busy during the summer months. 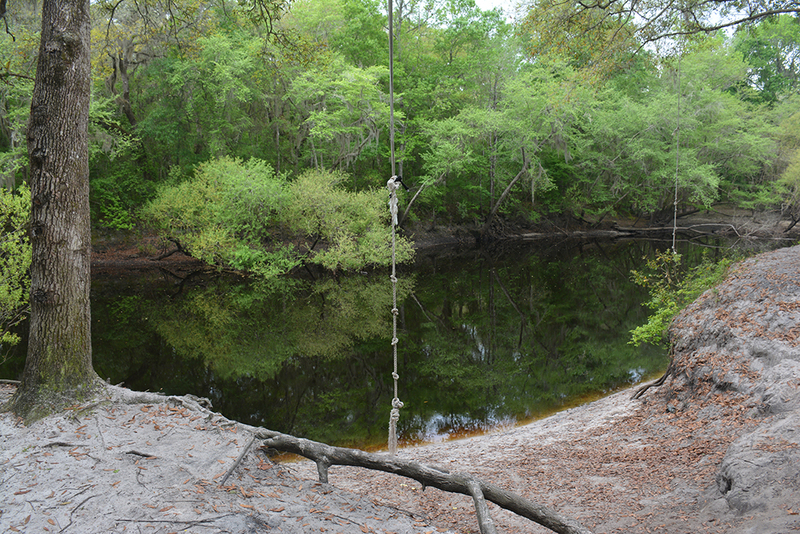 Accessed via the park road, a new boat ramp for the Santa Fe River was added in 2010 thanks to a grant from FWC, along with the fishing pier that makes it easy for everyone to reach the river from the park’s farthest parking area. This town of Worthington Springs park is open daily from 8 AM to sunset. While the restrooms have been closed, there are some portable toilets on the property.